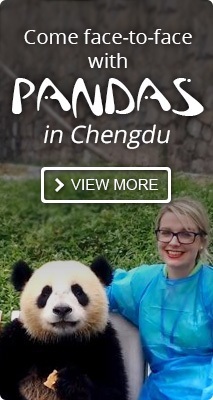 You can visit Chengdu for giant panda all year round. The weather in the mountainous region can be icy cold, but clear, like Tibet, which contrasts almost diametrically with the neighboring mild, humid – and often overcast or outright foggy – weather of the Chengdu Plain to the east that characterizes the city of Chengdu, sometimes likened to the city of London as regards the fog and the drizzly weather. Chengdu gets about 250–300 foggy, cloudy or rainy days each year. A summary of the weather of Chengdu might read "an early spring, a hot summer, a cool autumn and a warm (relative to surrounding areas) winter". The average mid-winter temperature (January is the coldest month) lies between 3–8 degrees Celsius, while the average summer temperature (July being the hottest month) lies between 22–29 degrees Celsius. Average precipitation (strictly rainfall) for the Chengdu Plain is 1000 mm (about 40 in), which is almost double the amount of precipitation in the Hengduan Mountains to the west. 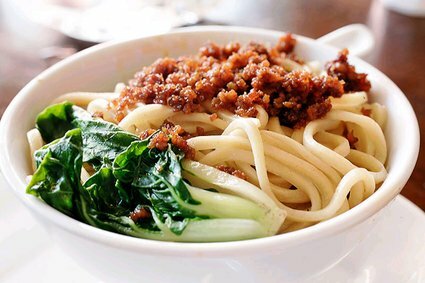 The best periods to visit Chengdu are from March to June, and September to November. There is substantial rainfall during the rainy season (July and August). Spring is from March to May. 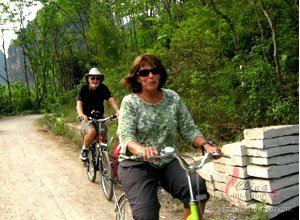 The weather warms up from winter, but with frequent alternative temperature changes. Prepare shirts, thin sweaters and coat for the weather. Avoid summer heat on Mt. Emei. Summer is from June to September. The weather is sultry with lower temperatures in early morning and evening, but hot during the day. July and August are the hottest months in Chengdu, with average lows and highs of 22 °C (70 °F) and 30 °C (85 °F). Half of the annual rainfall is concentrated in July and August (and 75% between June and September). Mt. Qingcheng and Mt. Emei are ideal places to escape the summer heat. Prepare summer clothes and umbrella. Summer is also the season when giant pandas are most active. Autumn is from October to November. This is one of the best times of the year to visit Chengdu. 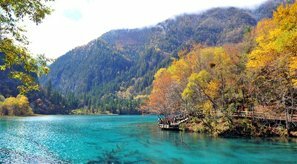 The autumn scenes at Jiuzhaigou and Huanglong are among the most beautiful in China. This is a season with sharp and frequent temperature changes. A few chilly days could be followed by relatively hot weather. The average low and high temperatures are respectively 15 °C (59 °F) and 21 °C (70 °F) in October, and 9 °C (50 °F) and 16 °C (61 °F) in November. Prepare shirt, sweater and jacket to cope with the weather. See best places to see fall foliage near Chengdu. 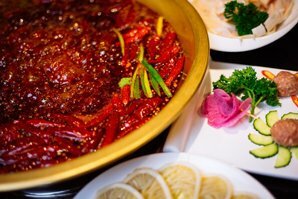 Enjoy hotpot in cold winter. Winter is from December to February. Chengdu has the least days of sunshine in China, and most time of the year is cloudy and overcast. Winter is usually cold, damp and grey, with little rainfall. The average low and high temperatures are around 2–10°C (36–49°F) from December to February. Prepare sweater and down jacket for winter. 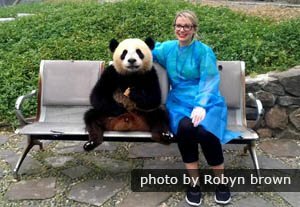 3-Day Visa-Free Essence of Chengdu Tour: Make the most of your time to see lovely pandas and the most essential attractions in Chengdu. 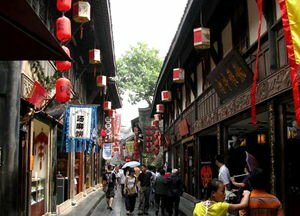 Chengdu and Its UNESCO Neighbors Tour: See the cute pandas, the romantic lanes in Chengdu, and two UNESCO World Heritage Sites-the Giant Buddha and Mount Emei. 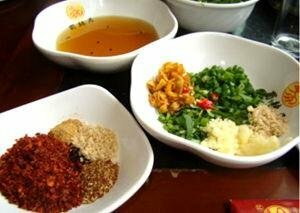 See more Chengdu tours or just tell us your interests and requirements, and we will Tailor-make a Chengdu tour for you.